This is a must see indie film on Netflix. It's about a tourist in Copenhagen meeting a 14 year old girl. After weeks of traveling through Europe, the immature William (Gethin Anthony, GAME OF THRONES) finds himself at a crossroads in Copenhagen. 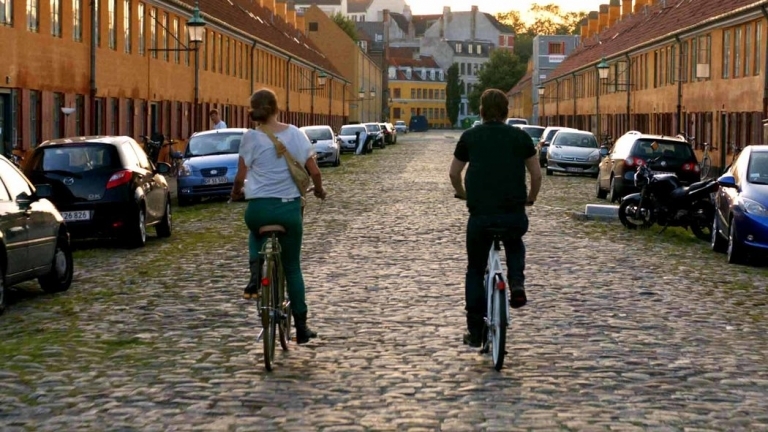 Not just another beautiful European city, Copenhagen is also the birthplace of his father. When William meets pretty local girl Effy (Frederikke Dahl Hansen), they set off on an adventure to find his grandfather. Effy's mix of youthful exuberance and wisdom challenges William like no woman ever has. As the attraction builds and William finds himself truly connecting with someone for the first time in his life, he comes to this realization: if the girl of your dreams is half your age, maybe it’s time to grow up! I saw this. That actress Frederikke is so cute.